Eskom must pursue a fast, large-scale development of lower-cost renewable energy, close down its old power stations, and scrap building the last two units of Kusile. This is according to energy experts, who say this will not save the bankrupt utility - which needs radical intervention - but will at least cut costs, both for Eskom and for the consumer. The country is again facing the possibility of blackouts as Eskom experiences coal shortages at eight of its 15 power stations, four of which have fewer than 10 days supply. 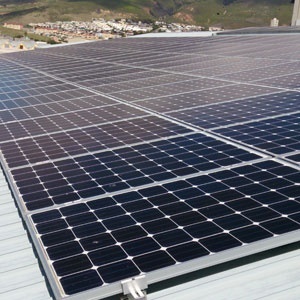 Dr Tobias Bischof-Niemz, who formerly led the Energy Centre at the CSIR, said what Eskom needed to do now was to support the "quick and large-scale" introduction of renewable energy. "Renewables are cost-neutral, because the costs are low now, and they will be a fuel saver, because they save the burning of coal. "That means Eskom can operate its power stations with less coal throughput the more renewable energy is in the system. "The coal suppliers can then opt to export with no problem and generate income for the country," Bischof-Niemz said. The coal-powered power stations would still be required to balance the electricity system, but with more renewable energy available, the coal demand would decrease and help address the coal shortage. Eskom spokesperson Khulu Phasiwe said the utility was managing the coal shortage at power stations and doing "everything possible" to avoid blackouts. "But the risk always exists," he said. "The stockpile is the same level today as it was on Monday because the stock is continuously topped up from various suppliers." With Treasury’s approval, Eskom has embarked on an emergency procurement process, or closed tender process. It is negotiating with the bigger coal suppliers to make up the shortfall. The two 2017 tender enquiries are at a negotiation stage of the procurement process and no contracts have been concluded yet. However, 18 million tons of coal have been contracted from urgent enquiries of 2017 and 2018, Phasiwe said. A study by UCT’s Energy Research Centre released this month revealed that Eskom’s coal costs have increased by a massive 300% over the last 20 years. This, with the cost overruns of the two coal-fired power stations still under construction, Medupi and Kusile, forced Eskom to push up tariffs, which have increased from 19c a kilowatt hour in 2006 to 93c/kWh this year. Goldman Sachs has said Eskom is the biggest threat to the South African economy. Economist Grové Steyn, MD of Meridian Economics, agreed Eskom was one of the biggest immediate threats the country faced, as the energy sector underpinned the economy. "Eskom is bankrupt and has to be bailed out every year, millions every year, and the State cannot afford it." The electricity sector was in crisis and could not continue with business-as-usual practices, Steyn said. Eskom’s current coal crisis was not just a hiccup, but part of a long-term problem, and the coal price around the world was getting increasingly expensive. "For Eskom there is no silver bullet. There will have to be a whole suite of measures to turn the situation around," Steyn said. According to Steyn, some were obvious and could be implemented now, such as the rapid acceleration of renewable energy. "Eskom should rather try to radically pursue the procurement of low-cost renewable energy. If Eskom were to say in its business plan that it wants to accelerate the renewable energy programme, and wants government to accelerate the REIPPPP (Renewable Energy Independent Power Producer Procurement Programme), then everyone will be pulling in the right direction," Steyn said. The government has procured 6 422 MW of renewable energy from private energy producers. Steyn said if this were increased to 2 500 or 3 000 MW a year, it was estimated that Eskom would be saving about R3.4bn a year. Another obvious intervention was to decommission Eskom’s ageing power stations now, rather than wait until they reached the end of their lives, as the old power stations were hugely expensive to maintain. These could be replaced with renewables. Another measure was cut operating costs, which included the cost of coal and employee costs. Eskom’s board was attending to this. Eskom’s staff complement of 48 000 is considered to be way in excess of what is needed. "It also needs to cut its capital costs. It knows that, and it is going to have to cut more drastically. Eskom is building at least one mega coal plant that we don’t need – Kusile. It must not build the last two units of Kusile. We don’t need it to keep the lights on. "If you are insolvent, you must just stop spending money on things you don’t need. Just stop," Steyn said. The UCT study said the reasons for the increased coal costs and shortage of supply included Eskom’s "increasingly complex procurement practices", poor contract management, poor planning, the increased cost of trucking coal by road, and corruption. A major factor was Eskom’s political decision not to invest in its main coal suppliers, which starved them of capital, and they could not produce as much. Eskom bought in coal from smaller suppliers, but unlike the big suppliers, who delivered the coal from the mines to the power stations by conveyor belt, coal from the smaller mines had to be trucked to the power stations, adding 40% to the cost of the coal. The cost of mining has also escalated way above inflation.